I’ve kept it no secret, in fact, I say it proudly, that I read and love YA. Yes, I am an adult woman, and YA books may not necessarily be marketed towards me, but I enjoy them anyway. It’s hard not to, considering how many well-written and brilliantly developed stories there are out in the world. The YA genre is vast and limitless: contemporary, fantasy, historical… it goes on and on. Scholastic’s This is Teen has been celebrating YA readers for the last few years through the I Read YA campaign, and I think it’s smart; let’s not shame people, especially adults, who love to read YA-- let’s celebrate them. Let’s celebrate people simply reading whatever they like. That’s my personal philosophy, after all. Monday 5/18: Share why you love reading and writing YA! Wednesday 5/20: #WOW Learn about exciting upcoming YA releases! Thursday 5/21: #tbt What is the book that got you into YA? Friday 5/22: Share your YA Book recommendations! They’re even offering up prizes. Who doesn’t love book swag? Keep in mind that I have no affiliation with Scholastic or This is Teen. I just think it’s a great concept that fosters pride in reading what you love. I don’t know how much time I’ll have this week to get involved with the campaign, but I hope to connect with fellow YA lovers and make new bookish friends. 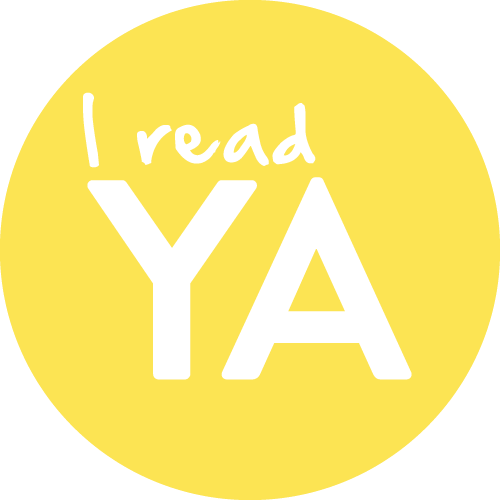 Are you going to share your #IReadYA pride? If you like, you can follow my twitter to see what I’m up to. Share your handle with me, and I’ll do the same!